This degree will build the graduate’s capacity in the areas of teaching and professional business research, and ensures that graduates are placed in the leading positions in academia and businesses. The main objective of the program is to strategically affect all business and economics education in Central Asia, and foster international business techniques to assist in the development of Kazakhstan economy and educational system. With a team of internationally renowned professors and researchers, and extensive partnership with some of the top business schools in the world, we are well prepared to deliver a quality PhD program unrivalled in the entire region. The PhD Program’s distinct academic approach is designed to enable students to excel as researchers, educators, and scholars in the future. Throughout PhD Studies experience, students focus on one of four areas of study. Encourage analytical thinking, critical analysis and innovative problem solving. Making significant intellectual contributions to the body of knowledge in their chosen field. Applying relevant theoretical knowledge to contemporary business problems. Applying a range of qualitative and quantitative research methods. Critically evaluating business research studies. Demonstrating superior oral and written communication skills. 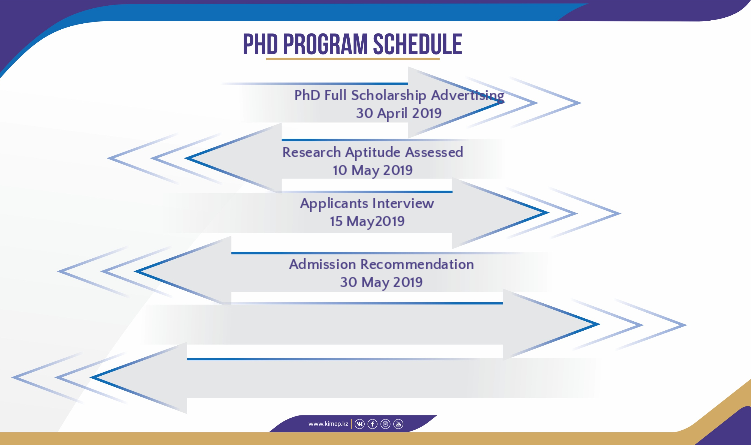 Admission to the PhD program is highly competitive. Admission is granted to candidates deemed most likely to complete and benefit from the program. The final decision on admission is based on a comprehensive assessment of the applicant’s overall qualifications and commitment to the program. At least three years of experience in a corporate, government, academia or non-profit organization. At least two professional letters of recommendation. A typed statement of purpose (500 words or less) that states the applicant’s academic and professional interests; how the applicant will benefit from the PhD program professionally and personally; the applicant’s strengths and qualities that will enable him/her to complete a rigorous doctoral program; and the specific reasons for choosing KIMEP. *Students without sufficient business education background are required to undertake additional coursework as previously mentioned.